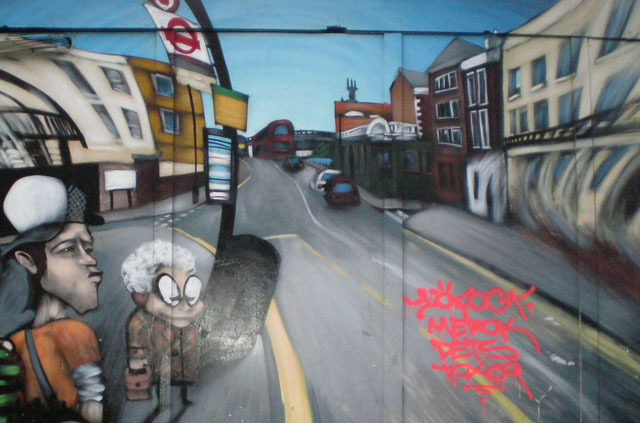 London's most notorious tagger is back, and this time you can own a piece of him. Each year, the graffer Tox sprays the hell out of London's transport network with his highly imitable tag of 'Tox' followed by the year. In fact, Tox spotting has become an annual game for us. He's been banged up a number of times for his troubles, and we've yet to catch a Tox09 in the wild. Turns out he's gone legit; the man behind the mayhem has been holed away in a Bangkok studio turning out screen prints of his TOX09 tag. Yes, you read that correctly. For once, Tox is limiting himself to just 75 impressions of his monogram. You can pick one up for £75, signed and numbered, from Souled Out Studios. Or buy a piece of canal wall and wait for him to spray it up for free.